Twenty-four-year-old hairdresser Torie Sullivan has given up on life. When her boyfriend betrays her, she careens her car into a ditch in a drunken fury. After paramedic Adam Benedict rescues Torie from her mangled car, he learns she's the middle school bully who brutalized him. A week later, he discovers she lives in a lean-to in Hookskill Nature Preserve. Despite his hatred, his innate compassion won't allow him to leave Torie in the wilds. He offers her a room in his miniscule cabin. After Torie's first night at Adam's, tragedy strikes his life, and he can no longer house her. His girlfriend, Maya Vitale takes Torie in. Though first-grade teacher Maya's past isn't as sinister as Torie's, she, too, hides a shameful secret. The lives of three disparate friends collide and reveal the toxic pasts that threaten to poison their lives. Only by forgiving the unpardonable can they be set free. My thoughts: First, the disclaimer. "I was provided a free unedited copy of this book. All opinions are my own." That done, THE POISON WE DRINK is not my usual reading genre of choice, but once I got over the fact that it isn't romance and is contemporary women's fiction I was able to stop trying to put Adam and Torie together in my mind and getting frustrated because on paper they weren't working! Ms. McClain is not afraid of tackling tough issues and THE POISON WE DRINK has issues! 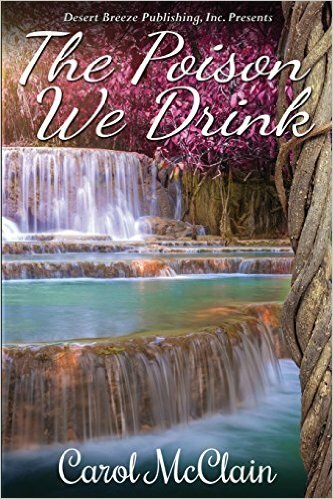 An alcoholic, a grieving widower, embittered and angry relatives, abuse, homelessness, and more are addressed in the pages of this book along with a healthy serving of God's love, mercy, and grace. If you like contemporary women's fiction then this is a book that you will adore. I like Ms. McClain's style of writing and voice and highly recommend this book. It may change the way you look at some things. The first book I ever written was Shadows of the Past. It was originally published by Treble Heart Books several years ago. I've recently re-released it as a self-published book on Amazon. Here is the original cover. 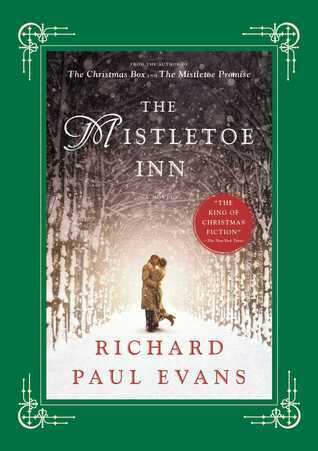 If your Christmas was like mine, you’re overstuffed on fudge but hungry for books to put on your new tablet or Kindle. I’ve heard many talk about their new Amazon Echo or Echo Dot, and guess what? Alexa can read books to you. I wanted to end this crazy but amazing year by celebrating. I never thought 2016 would have me publishing books through my new writing and speaking ministry, Surrendered Scribe Media. In May I re released ENTRUSTED and released ENTANGLED. The reviews for Carla’s story on surrendering regret are more than I could have hoped for. That was a HARD book to write, and now I get it. I’m thankful God is using it to help people let go of their past. So to celebrate these things AND put some FREE reading on your new device, ENTRUSTED eBook is FREE December 27, and 28. Wait, I’m not done. ENTANGLED will be FREE December 29 and 30. Both books are compatible with Alexa. Jenna Anderson leaves her Ohio hometown for the unknown in Speculator Falls. She’s determined to make her new job as senior center work and become one of the locals. Ben Regan’s family is the backbone of Speculator Falls and he’s made a vow to protect the rural village. When his grandfather passes away and his former girlfriend leaves without even saying goodbye, Ben’s determined to prevent further transition in his life. But Jenna produces a lot of change for Ben in a book about surrendering the present fears we have about change and wanting to belong. Thank you for being loyal readers. Here’s believing 2017 will be full of exceptional blessings! Feel free to share this with your favorite readers! Julie Arduini's passion is to encourage audiences to surrender the good, the bad, and---maybe one day---the chocolate. Her writing tackles both surrender issues and chocolate, and she jokes as a speaker she has the gift of gab. She loves to cheer audiences on as they find freedom through their surrender journey. 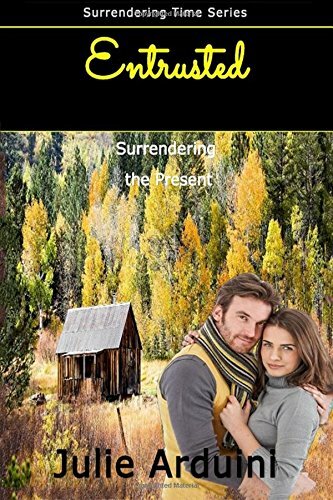 Her Surrendering Time series includes the re release of ENTRUSTED: Surrendering the Present and ENTANGLED: Surrendering the Past. The last book in the series, ENGAGED: Surrendering the Future, will release at the end of 2016. 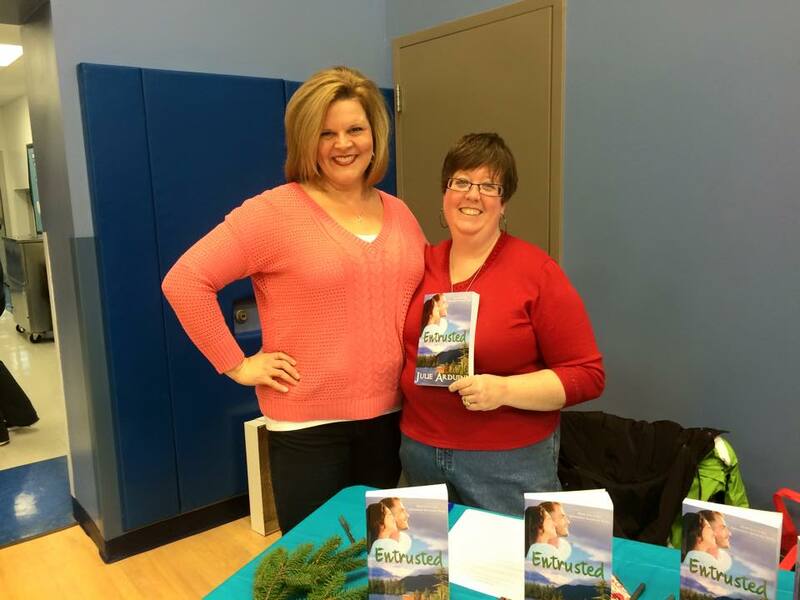 She's also the co author of A Walk in the Valley, where she is transparent in sharing her infertility story. Julie blogs every other Wednesday at Christians Read, a popular blog featuring favorite Christian authors. She loves to connect with readers. Discover her free resources on the left sidebar of her blog, JulieArduini.com, and say hello throughout social media by following her @JulieArduini. She lives in NE Ohio with her husband, two children, and secret stash of chocolate. Last Chance Christmas, by Julie Lessman: Pastor Colton McCabe is having the opposite problem. He's not sure he'll make it through the holidays with his new housekeeper. Grace can't seem to do anything right but love. Perhaps being a home-keeper will earn her a permanent residence in his heart. 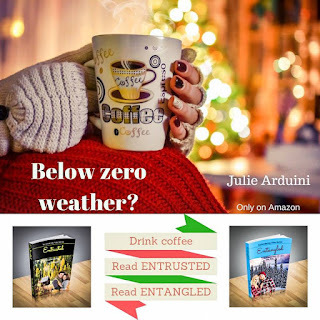 My thoughts: Julie Lessman has penned a fun romance featuring an unlikely heroine who can't cook anything (except beans) without burning it, a pastor with a past, and a lot of laughs. This is the first story in the book, but if it sets the theme of the book I'll be sure to enjoy it all. Loved LAST CHANCE CHRISTMAS and the theme of redemption and grace that Ms. Lessman worked through it. A Cowboy For Christmas, by Ruth Logan Herne: They've weathered a lot worse than winter. For widow June Harper, another cold front is about to hit. Most call him Hugh. She'd call him Scrooge, except as the man ensures her needs are met, June can't help but wonder how to meet the needs of his heart. 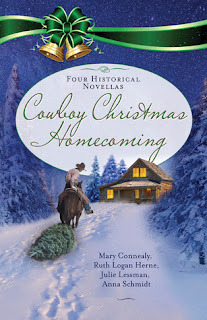 My thoughts: A COWBOY FOR CHRISTMAS was a retelling -- basically -- of Ruth and Boaz except Boaz is not a believer. June is homeless, beyond poor and hopeful for a job gleaming Hugh's fields. What she gets and must refuse is so much more. A story of strong, stubborn characters who are prepared to fight for what they want or need. I loved Lily, a secondary character. June is probably a lot like me. Strong, stubborn, and determined. Longhorn Christmas, by Mary Connealy: Netty Lewis can take care of herself, has for a while now. Some hired help over the holidays doesn't change that. And even if Roy does take care of her, that doesn't mean he cares for her or that he'll stay past Christmas. My thoughts: LONGHORN CHRISTMAS is classic Mary Connealy. A more than capable woman, manning a floundering ranch alone. It started with action and didn't let up, not while they were kidnapping wild longhorns and trying to bring them back to Netty's ranch so she'd have a herd. She wanted fifty head and Roy promised that to her before he moves on. But he's determined to be done and gone by Christmas. A good story, one that really shows of Netty struggled after her family died and left her and her son alone. A sweet Christmassy western. Connie's Christmas Prayer, by Anna Schmidt: And no one longs for a home more than Connie Lancaster. She's determined to return to St. Louis, and no cowboy can change her mind. But if Isaac can change her heart, maybe Connie will see the homecoming she's been waiting for isn't to a place but a person. My thoughts: This story was more telling than showing. I couldn't really connect with the characters and I skimmed more than read. It did have a good premise and I liked that Connie's mom found her settled place in Arizona. My thoughts: First, the disclaimer. "I was provided a free copy of this book. All opinions are my own." That done, I had high hopes of reading all the Christmas books in my to-read pile before Christmas! Alas, I failed. 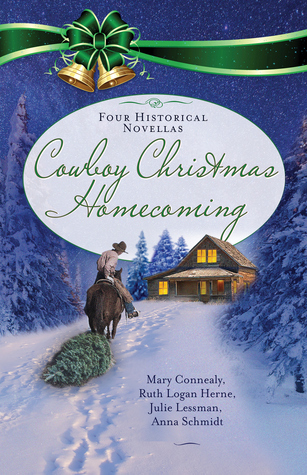 COWBOY CHRISTMAS HOMECOMING is a collection of four novellas by four different authors. Stories, authors, and blurbs are listed above as well as individual thoughts. That said, I enjoy these collections and am glad more publishers are doing them. It gives me an opportunity to "sample" authors whom I have never read before or some I haven't read for a long time. Ms. Connealy is the only author I regularly read in this collection, and so I was able to read books by three other authors I normally don't read. A good historical collection for fans of historical romances. My thoughts: First, the disclaimer. "I was provided a free copy of this book. All opinions are my own." 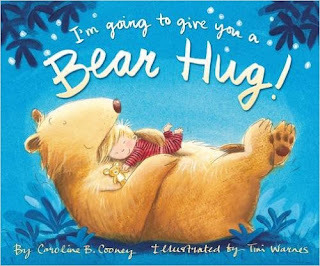 That done, I'M GOING TO GIVE YOU A BEAR HUG! is a cute bedtime story book for kids. They might giggle their way through it, but by the time they are finished you'll be tucking them in with a big bear hug of your own. A fun book to share with your favorite baby, toddler or preschooler. Really cute book! Lots of Love celebrates all the ways we show love—from hugs and kisses to sharing and helping others. The sweet rhymes and whimsical artwork in this board book illustrate the special bonds of love between families and friends. Perfect for young children, this book will make you want to snuggle with your little one as you two explore the greatest blessing of all—love! My thoughts: First, the disclaimer. "I was provided a free copy of this book. All opinions are my own." 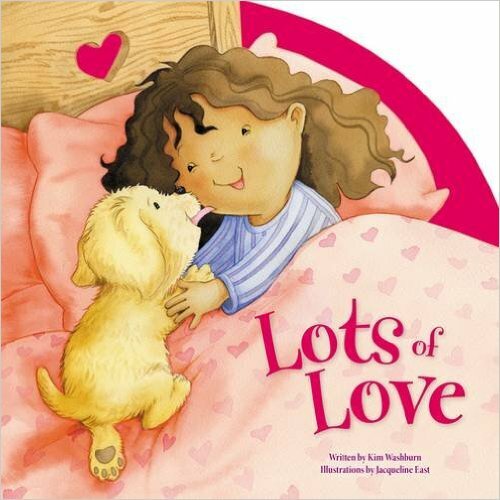 That done, LOTS OF LOVE is a very cute book that would be cute to buy for your favorite baby, toddler, or preschooler for a Valentine gift (or anytime gift!) I loved all the kisses and ways to show love included in the book, from pets to sisters and brothers, daddy's, mommy's and more. Never mind a pony. The Tucker girls have inherited their father's horse farm for Christmas. Make that a run-down horse farm. It needs some serious TLC in order to make it sell-ready. 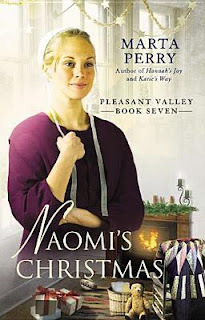 Joanna knows that by recruiting her sisters and one handsome ranch hand they can fix up the place and even celebrate one last Christmas while they're at it. However, to Isabella, returning to their home in Kentucky bluegrass country for Christmas seems like an impossible hurdle. Can her Chicago boyfriend make life merry and bright again? One thing's for sure: nothing is peace on earth for Sophia as a new beau brings up old wounds. And when the fate of the horse farm is put in jeopardy because Amy accidentally fraternizes with the enemy, tensions rise. But it's not like the land developer stole Christmas . . . just her heart. All I Want for Christmas by Sandra D. Bricker: JoJo Tucker is surprised to learn that her father, who recently passed away, left her and her sisters a horse farm in Kentucky. She learned this by receiving a final letter from him. None of the girls had been on speaking terms with their father in some time. JoJo returns home and encounters her first crush, Jed Weatherly. Jed’s been working at the farm since her father died to keep things afloat. She figures it is in everyone’s best interest to sell the farm, and she makes plans to get all of her sisters together for Christmas. However, will they be receptive to her plans? Will Jed be able to help JoJo’s Christmas wish come true? My thoughts: This was a beautiful story, with an energetic, excessively happy heroine who refused to let life get her down, even though she did grieve her father's death. I loved how she waltzed into the ranch house and everyone immediately loved her while she went to work trying to get her sisters to come home for Christmas. I love Ms. Bricker's fun-filled stories while still dealing with real emotions. Her Old Kentucky Home by Lynette Sowell: Bella Tucker decides to spend Christmas at her old Kentucky farm with her sisters, at JoJo's request. Bella's job is shaky, so she figures the timing is perfect. Her boyfriend David will go along to visit his own family. He would love to move back to Kentucky, but he is not sure how Bella feels. JoJo and Bella discover some unopened letters their father had sent to their mother while he was in the military. Will these letters bring clarity to the sisters? Will David’s career plans be the end of their relationship? My thoughts: Bella suffers from wanderlust like her father, so she is considering breaking up with her boyfriend because she's tired of their 'long distance relationship' even though they live in the same apartment building since they both travel all the time. This story was rather flat, the characters weren't as well developed. I also didn't like that they lied (though it was about seemingly unimportant things. ).And Bella was RUDE!!! But it was a sweet homecoming story. I’ll Be Home for Christmas by Barbara J. Scott: The first person Sophie Tucker encounters when she returns home to visit with her sisters is her high school crush Matthew Weatherly. He rescues the vet from a car accident. Matthew knows that their father wanted to make amends with the girls, and he hopes to convince them that there was a different side to their father than they knew. Matt would love for her to stay in Kentucky, but will Sophie’s past make it too painful? Can she admit her feelings and take a chance on an unknown future? My thoughts: I'LL BE HOME FOR CHRISTMAS has the strongest faith message in the book (so far) and I liked that. Matt and Sophie were childhood best friends and both of them had a whole arsenal of pet names for each other that they used frequently. I liked the way Sarah gave Matt a hard time about loving Sophie and not admitting it and I loved the way Matt was the one who led Tuck to the Lord and became a Navy hospital corpsman with the Marines like my husband did. 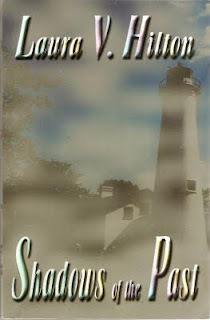 None of the sisters played a major part in this book, it was more focused on the romance. A feel good, sweet story. Please Come Home for Christmas by Lenora Worth: Amy Tucker Brosseau is a single mother working at a café in New Orleans. While she had been angry with her father, she does agree to return to Kentucky, despite numerous bad memories. She just wants to let go of the farm and her past. She meets Dan Wentworth, who is interested in purchasing the farm. Amy plans to convince her sisters to sell it to him, but will something change her mind? My thoughts: PLEASE COME HOME FOR CHRISTMAS features another rude sister, like Belle. Amy has had some hurts and while she wants to sell she doesn't like the guy who wants to buy. What will she do? Her son loves it in Kentucky, she's the only hold-out on selling and... I really didn't see what Dan liked about her. Feisty, yes. Prickly, yes. He saw that too. Dan was really nice despite being the "go after what I want and no one will stop me type." That said, SLEIGH BELLS RING has a really good solution to the "to sell or not to sell" decision that I liked, though one of the relationships was not set in stone and it's the readers guess whether or not it will be. 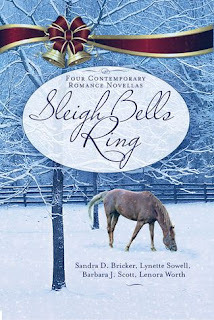 If you like Christmas romance novellas (contemporary) this would be a good read, for any time of the year. The second holiday love story in New York Times bestselling author Richard Paul Evans’s Mistletoe Collection. My thoughts: First, the disclaimer. "I purchased a copy of this book. All opinions are my own." That done, THE MISTLETOE INN started a bit depressing. Kim's mom commits suicide, she makes multiple relationship mistakes, and then her dad is diagnosed with cancer. I'm thinking ugh. This is not a feel good story. BUT then it picks up. Kim's dad pays for a conference she really wants to attend to meet her favorite author, H. T. Cowell as well as maybe get an agent to look at her manuscript and represent her. And then the story picks up. Add quirky writer, Samantha, who befriends Kim upon arrival, an accident in the fitness room where she meets Zeke, and the story can only fly. 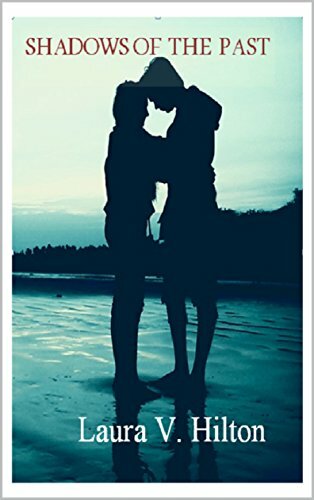 Add a bunch of information for aspiring authors that you need to know, a lot of fictional truths about story, and marriage advice that just made me cry it was so beautiful and you have one of those rare stories that draw you in and keep you engrossed, entertained, and engaged for the length of the book. One of those rare stories that you read from start to finish and never mind your to-do-list, because there is nothing more important than a book break. I loved this story (once I got past the unhappy beginning) and highly recommend it. 5 stars. 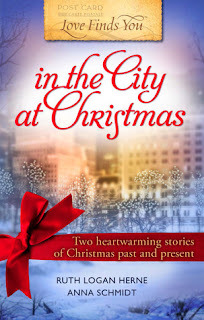 Love comes to New York City in two heartwarming stories of Christmas past and present. In 'Red Kettle Christmas,' it's 1946, and police officer Mike Wolzak inherits the family home. . . and the custody of his troubled sister. While on patrol during Macy's Thanksgiving Day Parade, Mike meets a Salvation Army bell ringer struggling to support herself and her young child. Over the holiday season in Manhattan, she teaches the veteran how to support his family. In the process, he gains a new one. My thoughts: RED KETTLE CHRISTMAS is an adorable story about one of the Salvation Army's bell ringers and a police officer. It was fun seeing the diversity of cultures in this historic visit to NYC and meeting two very sweet individuals who both have hurts they must work through. I cared for both of these characters and enjoyed this slow moving story. In 'Manhattan Miracle,' a war-weary soldier finally comes home. Max Wolzak is celebrating Christmas in the Manhattan brownstone where he spent much of his childhood when he meets Sarah, his sister's old schoolmate. Sparks fly as the pair gets reacquainted over holiday events, but when Max realizes she will leave for the Middle East the day after Christmas, he has a decision to make. My thoughts: MANHATTAN MIRACLE is the contemporary in this story and features Mike's and Karen's grandson, Max, who has just returned from active duty in Afghanistan. To make his grandma happy, Max agrees to dress as a Peanuts character and be a balloon holder for Snoopy in the parade, but the last person he expects to see is happy, bouncy, Sarah, his little sister's old friend. An adorable novella about two old "chums" rediscovering each other and what happens when Schroeder meets Lucy in the Peanuts portion of the parade. Again, a slow moving story, but sweet. About the Loves Finds You™ series: The Love Finds You series features standalone inspirational romance novels set in real towns and cities across America. This special holiday 2-in-1 edition features one historical novella and one contemporary novella connected by a common thread. Since her mother's death, Naomi Esch has been devoted to caring for her father and siblings, sacrificing any hope of finding love or having a home of her own. Still, working at the local bakery and expanding her beekeeping business gives Naomi a satisfying sense of purpose. Then, in the weeks before Christmas, her father announces his plans to immediately remarry. He and his new wife need the house for themselves, and suddenly Naomi’s life is turned upside down. My thoughts: First, the disclaimer. "I bought a copy of this book but not from Amazon. All opinions are my own." That done, I have read some of the other books in this series, and I wanted to read this one. I liked strong, stubborn Naomi and was glad she decided to follow her own path instead of being shuffled off to live with her younger brother like she was worthless and would never marry. I hated the people made that comment about her. "Marry Naomi?" And then laugh as if it were a joke. Naomi was kind and level headed and serene and quiet. She was great with children, great with bees, and great with pie dough. And she was great at bringing peace and comfort to Nathan's home. But not so great at diffusing gossip when Nathan's sister-in-law starts causing trouble and stirring up gossip. And not so good at avoiding discord in her own family when they got angry at her for trying to find her own way instead of being a burden. I know this is an older book, but I also know I'm not the only Amish fan out there who hasn't read it. I have read it now. And I enjoyed it. 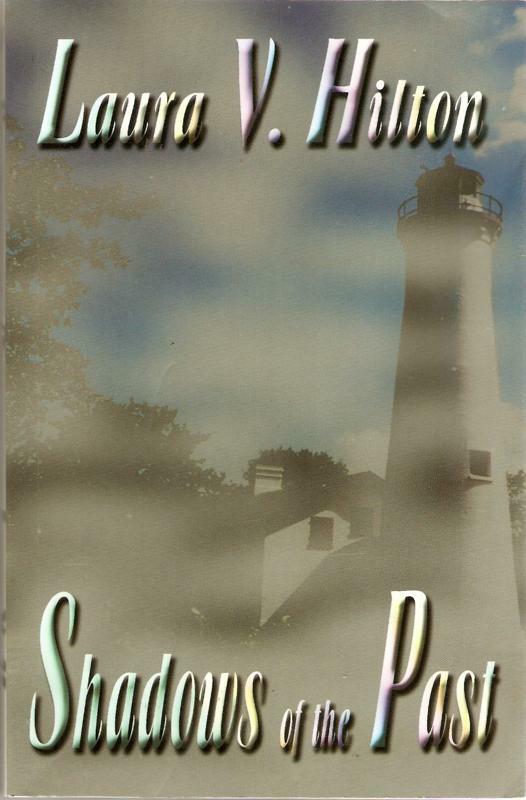 A sweet Amish story with children, bees, and romance--set at Christmas time. Pick up your copy today. A Royal Christmas Wedding and #giveaway!!! The Last Descent and #giveaway!! !